Architecture can be a beautiful thing. It can capture the wonder, the beautify, and the complexity of creation. On the other hand, it can also be used to create hideous monstrosities that don’t deserve to see the light of day. In this list, those are the buildings we’ll be examining. The offensive, the hideous, and the ridiculous. 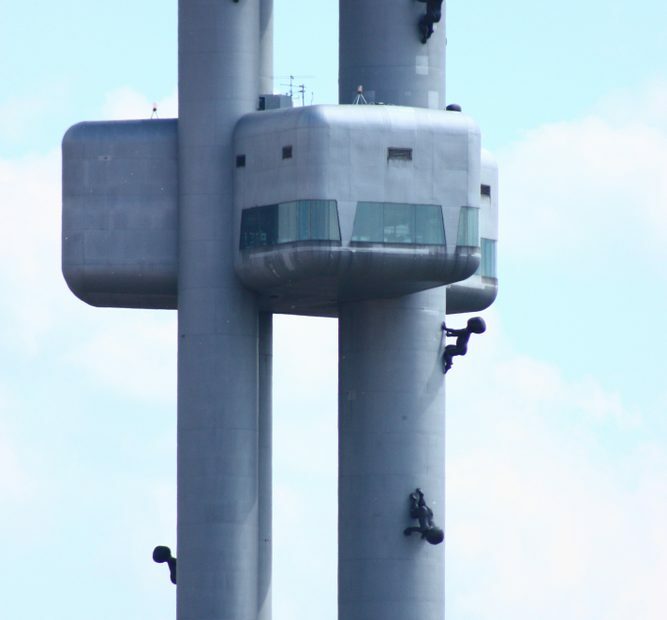 This is the world’s ugliest buildings. Some people argue that brutalism is a beautiful architectural style. 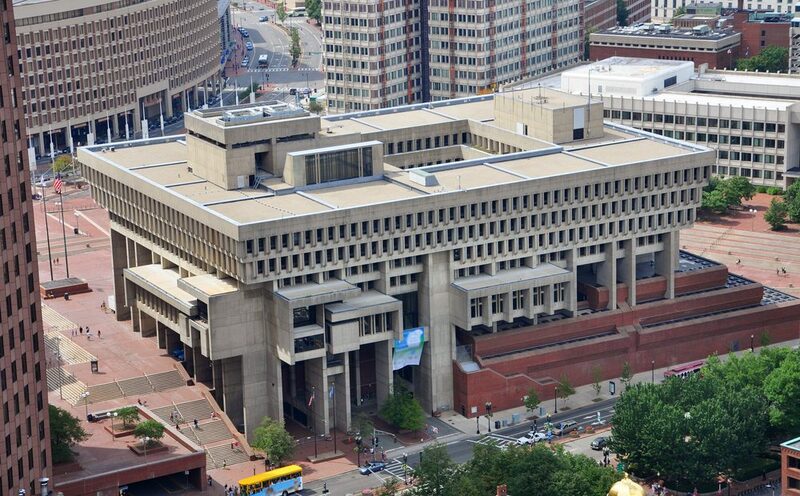 I think that Boston City Hall is the perfect example to prove them wrong. Look at this barbarian savage of a building: red brick leads way to bland cement, and is surrounded by pavement and sidewalk in all directions. 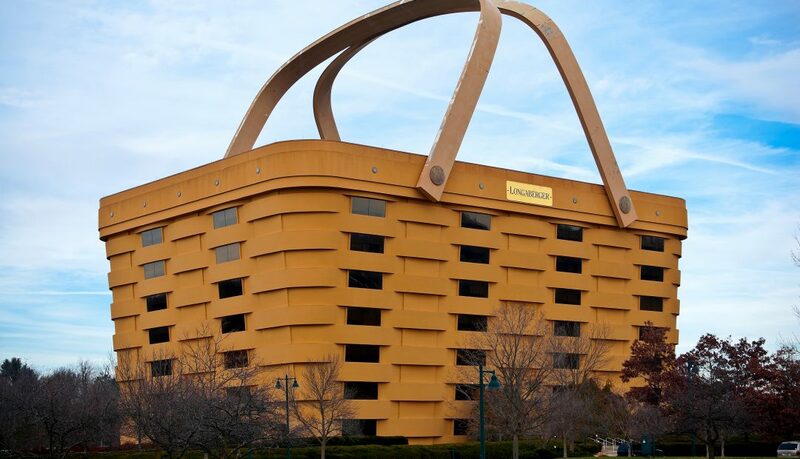 This massive structure causes instant depression just from looking at it. The beauty of a historic European city like Prague is unparalleled. 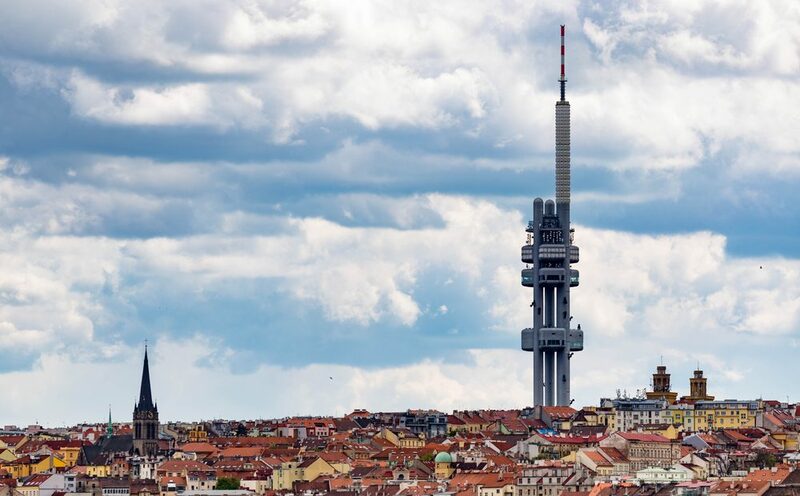 And then suddenly, as you turn a corner, you see this…The Zizkov TV Tower. This is what I imagine it looks like when The Empire from Star Wars begins their takeover of a planet. This is beyond an eyesore. This is a true crime against the beauty of everything around it. Look at the contrast between this tower and the historic steeples surrounding it. In an attempt to make the building more interesting (because the populous of Prague hate the building and complain about it constantly) they decided to hire an artist to help add character to the much-despised spire. Fortunately for the world, the baby statues were removed in 2017. What else is there to say? The picture speaks for itself. 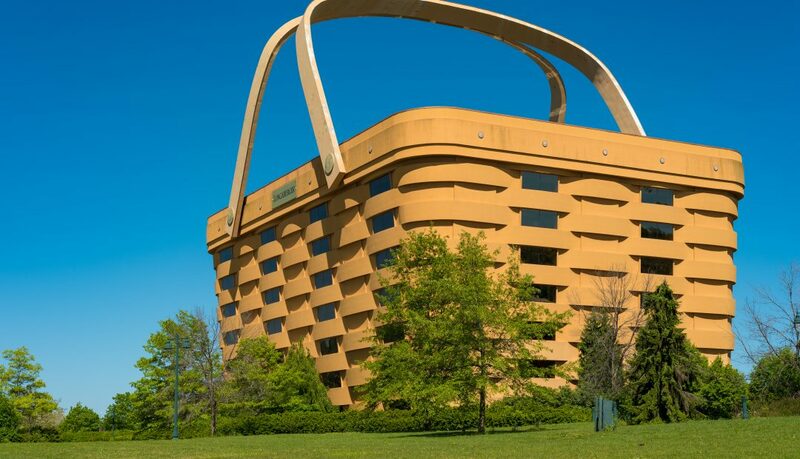 Some tacky nut-job thought it would be a great idea to design a basket shaped office for his company that made…baskets. And now, the residents of Newark, Ohio have to live with the consequences. The only redeeming thing about this building is that it’s so ridiculous, so tasteless, and just downright stupid, that it gives it an odd endearing quality. Memphis. The land of the Blues, of Graceland, of southern history…and this ridiculous pyramid. Crazy and weird story here that’s 100% true and well documented in the news. A crystal skull was found, locked in a metal box, at the top of the pyramid. It was discovered that Isaac Tigrett (The creator of the Hard Rock Cafes) had placed it there, claiming the crystal skull had manifested itself in the hands of his guru, Sri Baba. It was believed that the skull was placed there in order for the pyramid to become a fully-functioning portal to another world. 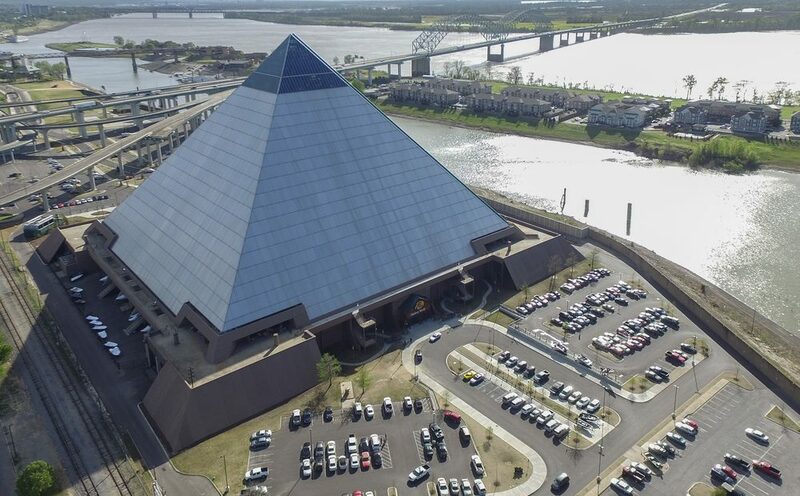 The Pyramid has since been converted to a Bass Pro Shop, which is by the far the most anticlimactic ending to any story involving crystal skulls and portals to other worlds. If pyramids aren’t tacky enough for you…how do you feel about inverted pyramids? 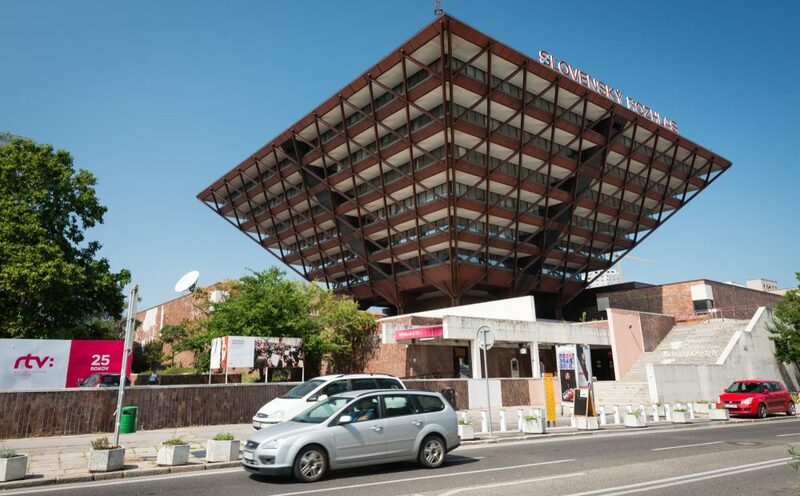 In what is clearly one of the worst designs in history, the Slovak Radio Building is like a pyramid tipped upside down, making each floor larger than that beneath it. As a side effect of this, every window in the building is constantly shaded by the floor above it, and sun never permeates through. Whoever designed this clearly thought that Eastern Europe wasn’t bleak enough already. Adding to the depressing nature of this building is the windowless brick and cement foundation its built upon. If you’ll excuse me, I have to go stare directly into the sun now.